Distillation of alcohol in the old age was primarily used for medicinal purposes; Ramon Llull provided the earliest written recordLlull during the 13th century in Italy. This technique spread throughout Europe as well as Ireland and Scotland. The alcohol produced from the distillation, called aqua vitae, is still used for medical treatment of ailments such as colic and smallpox. In the 15th century, mention of ingesting “aqua vitae” has been noted in Ireland in 1405 when a certain chieftain took a “surfeit of aqua vitae” and died. In Scotland, an entry in 1494 from Exchequer Rolls noted that a king had ordered for aqua vitae to be made by a Friar John Cor. Malt sent to him was enough to make 500 bottles. At this point, many more leaders of countries had taken a liking to aqua vitae, now known as whiskey, as they were noted ordering monks to make it for them. During these times, the distillation process was still rudimentary, so the resulting product was very unrefined and unpleasant to the taste buds. However, even in the early days, some progress was made and what is now known as whiskey has slowly developed. The oldest known whiskey distillery that acquired a license to distill Irish whiskey is the Old Bushmills Distillery in Northern Ireland. It got its license in 1608. Though whiskey distillation has been widely known across the pond since the 15th century, America at that time still hadn’t been introduced to the drink that is now known as whiskey. Whiskey arrived in America in the late 1700s along with the arrival of immigrants from England, Scotland, and Ireland. During this time, the country was still forming, and migrants were persuaded to move west. There was no exact reason, but this move was probably encouraged to develop the mostly undeveloped and unpopulated areas in the western regions of America, or it might just be for religious reasons. In 1785, Basil Hayden- a distiller and farmer, was one of the people who took charge in bringing people from Maryland to Kentucky. As migrants moved to the west, so did the distillers. So as long as grains were abundant and there was easy access to clean spring water, whiskey was produced. Maryland, Pennsylvania, Kentucky, and Tennessee were the leading producers of whiskey due to the abundant harvest of grains and the presence of clean spring water filtered by limestone. In 1791, when the new US federal government was just established under George Washington, they had put into law a tax on distilled spirits made domestically. This new tax was an effort to collect revenues to pay for the debt incurred during the Revolutionary War. During this time, whiskey was the most popular distilled spirit; thus whiskey distillers were the most affected by this new law. So the law became widely known as the whiskey tax. The farmers and distillers of whiskey heavily resisted the new law because during this time, whiskey was used as currency to barter for their needs and it was also a well-loved drink by many. Though many states were affected by the law, it was in Western Pennsylvania where resistance often turned violent. The violent protests became known as the Whiskey Rebellion. During the Whiskey Rebellion, the tax collectors or federal revenue officers were relentlessly intimidated or attacked by the resisting distillers when they come to collect. In 1794, the rebellion reached a fever pitch when the house of the regional tax inspector was burned down by some 500 angry men. After the incident, then-President George Washington sent a delegation with the purpose of negotiating with the rebels. When no resolution was reached, Washington himself rode with a 13,000-strong militia from Virginia, New Jersey, Pennsylvania, and Maryland to impose the law. Once they arrived, the rebels went home on their own accord, and no bloody confrontation ever happened. Despite the incident, tax money from distillers was still difficult to collect and intimidation and attacking federal revenue officers was still common. The collection of whiskey tax eventually stopped after Thomas Jefferson became president. He repealed the law in early 1801. Now that America can produce whiskey without worrying about the tax, many improvements were made. In 1820, John Walker started making his own whiskey, which has now become an icon and one of the most famous Scotch whiskey in the world. Dr. James Crow was also able to develop a new technique in making bourbon. He did this by mixing a certain amount of spent mash to a new one so that there would be a consistency in making batches of bourbon. This mixing of the spent and new mash is called sour mash. This technique is the standard in making Tennessee whiskey until now. In 1831, Aeneas Coffey also invented the “continuous still” that allowed for cheaper and more efficient production of whiskey. It was patented and now known as Coffey still. 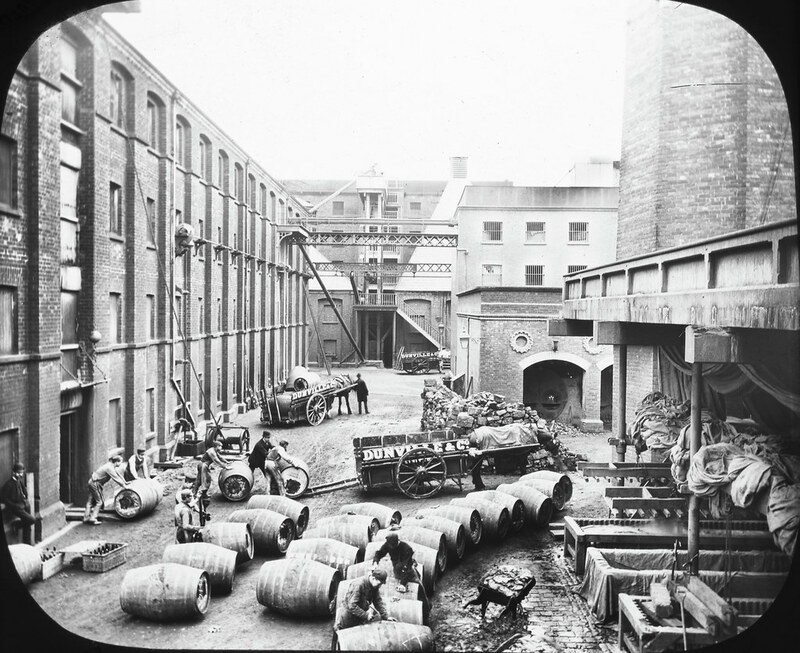 As more improvements in the technique of making whiskey and production have also become more efficient and cheaper, whiskey grew even more popular and abundant. However, some bottlers and rectifiers tarnish the product to increase their profit. They do this by adding prune juice, tobacco spit or other spirits in the whiskey and put the bourbon brand label on the bottle. This practice encouraged the distillers to act to protect their product by lobbying for the Congress to pass the “Bottle-in-Bond” Act of 1897. This law aims to protect the products of whiskey distillers by providing federal oversight. This means that for a whiskey to be designated as “Bottle-in-Bond,” meaning untarnished and unaltered, it has to be from a distiller and aged in a warehouse that has been approved by the federal government. It also has to be bottled at 100 proof. In 1920, American whiskey dealt another blow in the industry when the government made the Volstead Act a law that aims to ban alcoholic beverages from being produced, imported and transported. This was apparently due to high cases of public drunkenness, family violence and general degradation of morals. However, the Volstead Act was not something that just happened overnight. “Dry crusaders,” the supporters of the Volstead act, had a long history of lobbying the terms of prohibition. They were also actively persuading the public to stop drinking by going into saloons and singing church songs to pub customers. Despite the prohibition, people were still able to get their hands on some alcoholic beverages through a loophole in the law that states medicinal use of whiskey and religious use of wine was acceptable. So alcohol consumption was still high despite the prohibition, albeit you would need a doctor’s prescription for it. The prohibition era did not last long as the government immediately felt adverse economic effects. Much needed revenues decreased and many sectors, especially the agriculture sector, suffered. That is why, in 1933, the prohibition era ended. Regardless of the discontinuation of the prohibition, the whiskey industry in America did not have a smooth-sailing success. The competition was difficult particularly when other spirits became more popular and in-demand by the public, like the rise of vodka in the 1960s. Whiskey distillers tried hard to become relevant by adjusting to cater to the public demands of the time, thus the production of light whiskey. Some also used the power of celebrity endorsements or a simple connection to a popular public figure to help with the revenues and to stay relevant. The development of “Whiskey Trails” where tourists are introduced to the history of this alcohol or the history of the brands also became an essential part in the resurgence of whiskey popularity. Portrayal of bourbon and whiskey as the chosen drink of strong men in popular movies and series added to people’s curiosity to try it. Whiskey has fought a long and hard battle in America, and now, it has been proven victorious. America has once again welcomed whiskey in their open arms and sales have never been higher. Now that we know the history of whiskey, it is also vital that we know the types of American whiskey. Different types of whiskey are mostly differentiated by the type of grain used in the mash to make it and how they were aged. Bourbon whiskey – the mash has to contain at least 51 percent corn and must be aged in newly charred oak barrels. Corn whiskey – the mash must contain 80 percent corn and not aged. However, if it is aged, it must be aged in used barrel. Malt whiskey- the mash must contain at least 51 percent malted barley. Rye whiskey- the mash must contain at least 51 percent rye. Rye malt whiskey- the mash must contain at least 51 percent malted rye. Wheat whiskey- the mash must contain at least 51 percent wheat.